William Hunter Lawler was born 27 November 1860. He lived at 446 King Street. He was married to Lavinia Hopping in 1883, they had 11 children, nine of whom were living at home in 1912. He died on 16 February 1915. As well as an abiding interest in the paving and tarring of roads and pathways after 17 years working on them, Lawler ran the largest carrier business in the district and was the proprietor of the Newtown Stadium Picture Palace. Lawler was president of the United Friendly Societies and a member of the Royal Foresters. 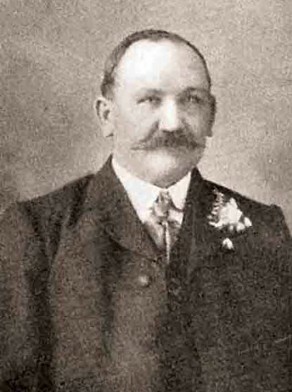 William Hunter Lawler was an alderman on Newtown Council in 1911-15 representing Camden Ward. He died in office.